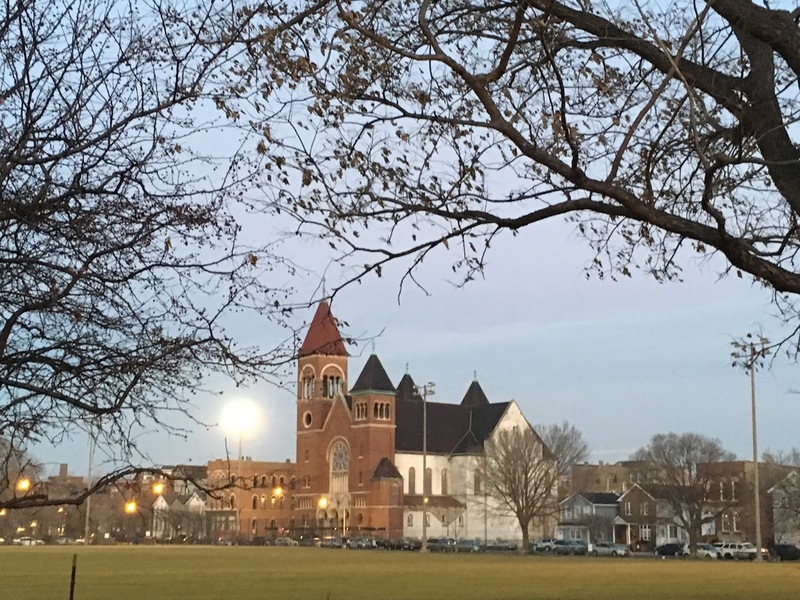 Redevelopment of the St. Boniface Church grounds is proceeding with a new partner: Stas Development is working with Northwest Settlement on a new mixed-use building for the former rectory site at 921 N. Noble St., replacing the Chicago Academy of Music. Builder Mike Skoulsky will give an update at Monday's East Village Association meeting. Skoulsky plans to convert the church at 1358 W. Chestnut St. to 17 residential units and build 24 units at the former school and convent site, 1340 W. Chestnut St. Saint Boniface Info has been posting news on discussions with neighbors. How many developers will attempt to save this crumbling structure? I understand people in the neighborhood want to preserve such a historic building but it seems that this building is not salvageable at this point and is just slipping into further decay.